before sneaking out on the upcoming Memorial Day weekend, I wanted to take advantage of an opportunity to spend a little time at the Cobblestone Project Farm pulling weeds and spreading mulch. I thought it would be good for the soul to sink my hands into the dirt for an afternoon. When I arrived, I noticed two rows at the far end of the field that another group had started. These rows were overgrown to the point you could not see what was actually being grown there. These rows were now at a state of disrepair simply because the “farmers” had not spent the time needed to invest in their care. The early passion seemed to have given way to the fact that it actually took a lot of work to produce something from the earth. The significance of what was happening sunk in. So, what happened? 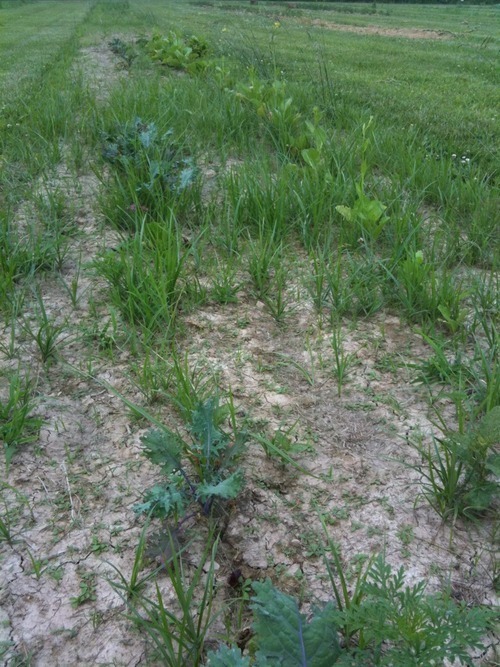 The care of these seeds were neglected, and over time the weeds did what the weeds do. The more time I spend at the farm, the more I realize and appreciate why Jesus used these kinds of parables to explain His kingdom and the work it requires to live according to His way. Since I didn’t grow up with a farming background, I feel like I missed some of the deeper meanings that are now becoming evident. Early passion is no guarantee of actual accomplishment. Everything is easy at first and people’s passions can cause them to start great things. However, passion & emotion does fade over time. Not everyone who started at first planting is likely to remain to the harvest. The hard work of a few usually replaces the early passion of the many. Leaders emerge not because they are the most talented or knowledgeable, but because their dedication is not deterred when it comes time to work the fields alone. It is really hard to fix things once they have been neglected for too long. Growth & progress in any area of life requires constant effort to keep it moving forward. It is not enough to do the hard work when it fits into our schedule. We have to make room to do the little things or it becomes too overwhelming very quickly. We should be expecting the weeds. When the ground is first tilled, it is a beautiful thing. However, within that beautiful soil where we plant our seeds, we should know that there are also seeds for the weeds that will emerge. They are there from the beginning. We may not see them, but they are there. No one promised it would be easy, and it requires someone to return to remove the weeds. Great things are not accomplished alone. Great things may be started because of great passion, but it is the great resolve of dedicated people that carries them to completion. Great resolve is driven by one’s faith and the support of community walking beside. Going it alone does not work. When the Harvest comes it will be time to celebrate. When hard work & resolve are invested by faith, God’s grace brings in the harvest. When the harvest arrives, we should celebrate and celebrate well.